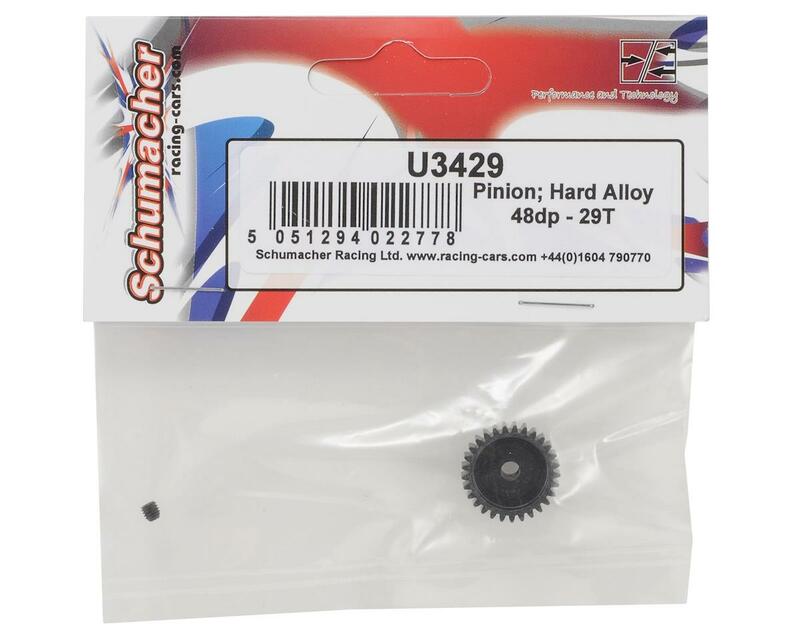 This is a Schumacher 48 Pitch Hard Anodized Alloy Pinion Gear. 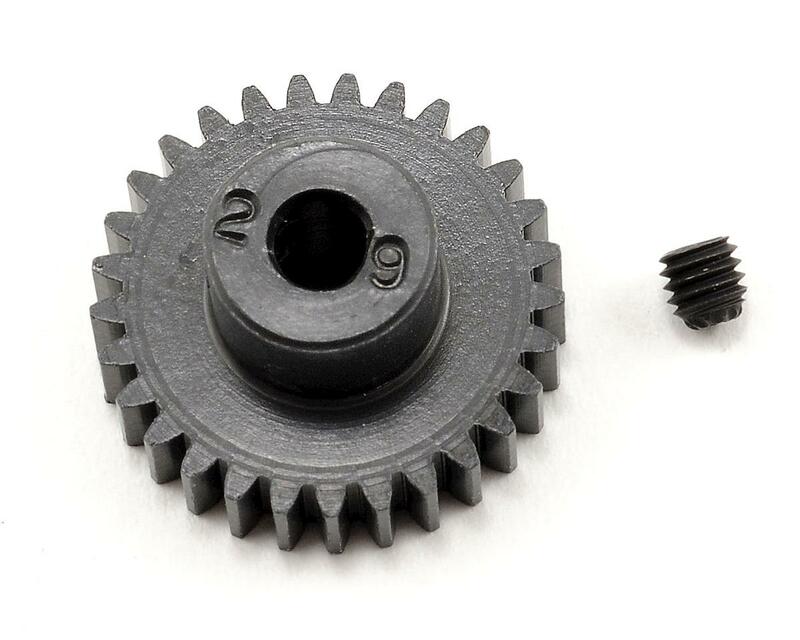 These gears are recommended for use with Schumacher 1/10 electric buggies. These hard anodized alloy pinions feature precision cut teeth for maximum efficiency and super smooth running. Alloy is lighter than titanium for minimum rotating mass and delivers maximum acceleration. These gears are available in a variety of tooth count options to fine tune torque and top speed. Package includes one pinon gear and one set screw.